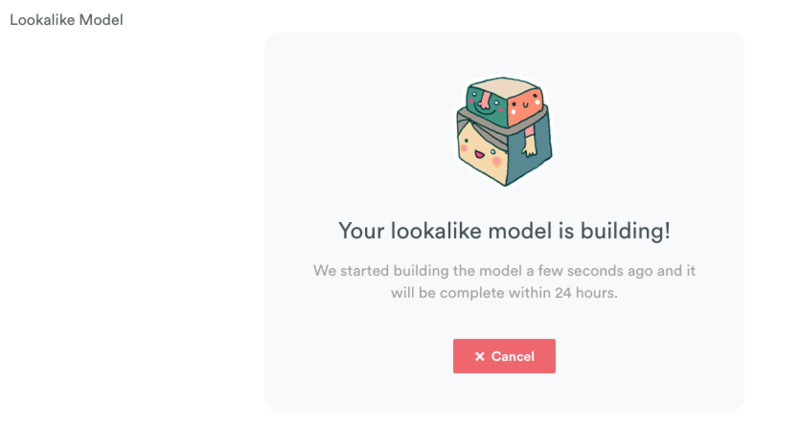 Lookalike (LAL) Modelling uses machine learning to find new people with features and characteristics similar to those in the seed segment chosen. 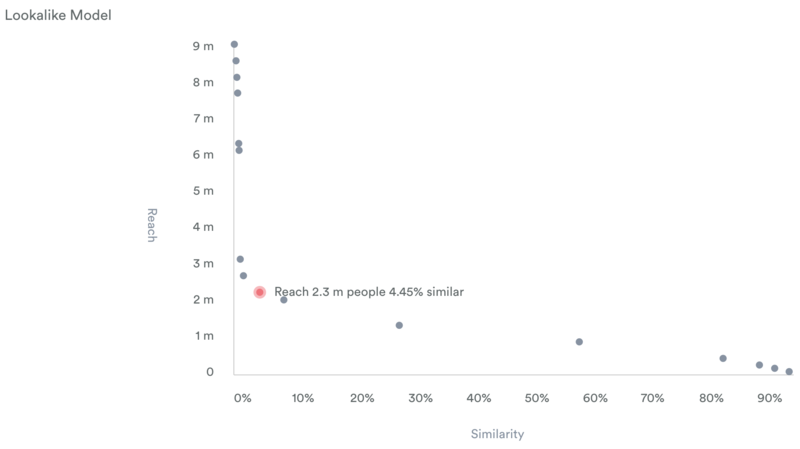 Similarity and reach metrics allow you to find a model with the highest similarity at the reach required for your campaign. Click here for FAQs on Permutive Lookalike Modelling. For this beta model, please do not exceed 10 models for your project. 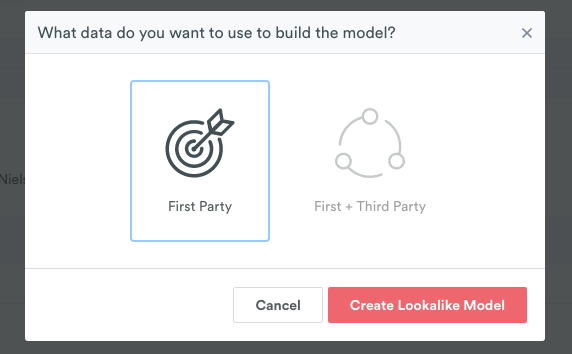 You need to select whether you would like to build from first party, or first party and third party data (currently, in this beta model, only the use of first party data is available). The LAL Model will take up to 24 hours to build. During this time, the segment will display that it's provisioning a lookalike model and the time this work started. A Reach/Similarity graph is returned with a distribution of users you can create a LAL model from. Select the most relevant audience by clicking on one of the dots on the graph. Any number of lookalike segments can be deployed from one lookalike model. The deployed lookalike segment will appear in the list of segments as a separate segment, with an automated name e.g. 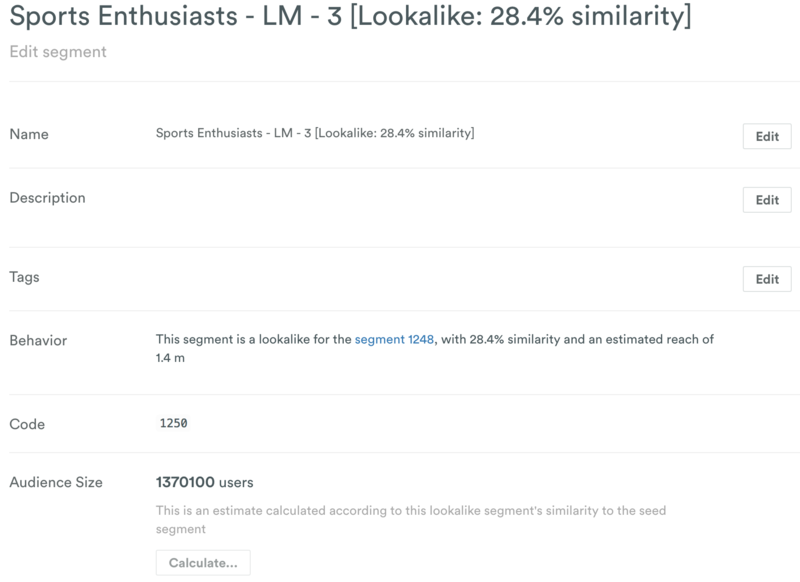 Sports Enthusiasts — [Lookalike: 28.4% similarity]. This lookalike segment can now be used like a normal segment. For FAQs on Lookalike modelling, please click here. Note: A CPM cost for delivering campaigns against lookalike segments will apply if third party data is being used in the calculation.